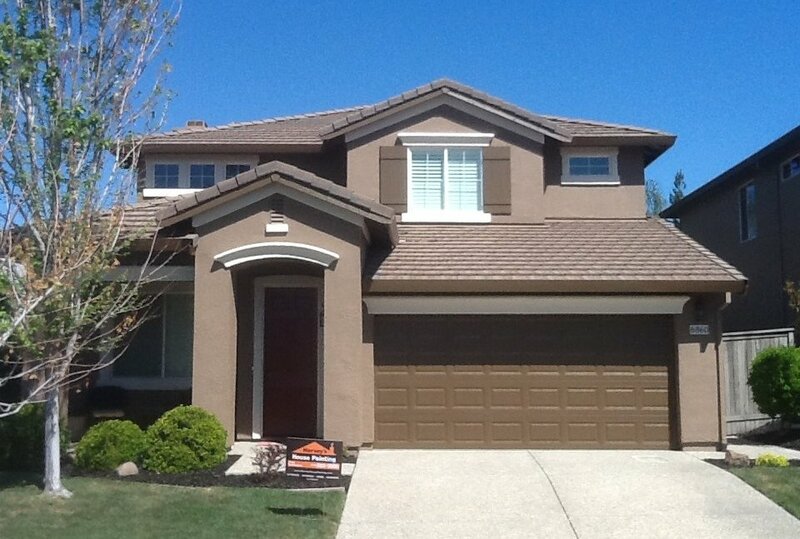 Harvey's House Painting is a full service painting company in North Highlands, California. Our family owned business provides an array of services ranging from residential and commercial painting to carpentry services, pressure washing, deck and fence work, and much more. Our owner, Mr. Rich Harvey is happy to share his knowledge and expertise in choosing the best paints and finishes to provide you with a beautiful finished product. At Harvey's House Painting, we take great pride in each painting project we complete. We utilize only the finest in products and current application techniques. We believe your home deserves the absolute best. Our interior painting team has completed hundreds of interior jobs over the years and we know what it takes to be efficient and provide excellent workmanship. We are confident that our work is something you will feel as proud of as we do. We also believe your house is more than just a house, it is your home and we will help you increase its value with a superior interior paint job. We will fix all the nicks, scrapes and drywall holes to bring the luster back to your home. Whether your painting project is for improvement or to simply accentuate your home, a fresh coat of paint will provide a low-cost solution to your home remodeling needs. Did you know that with just a fresh coat of paint you can re-paint the exterior of your home and potentially add thousands of dollars to your home's value. At Harvey's House Painting, we are experienced exterior painters who can help you select the right paints and finishing that reflects your personality and aesthetics, while adding value and curb appeal to your home. When your cabinets and wood trim lack life, we will revive and invigorate them. We are masters at updating old, tired cabinets. From start to finish, you will be impressed with the results. Harvey's House Painting will turn your house into the home you have dreamed of. From helping you choose the best colors and paints to our thorough on-site clean-up, your home will be given the respect it deserves. Pressure washing is a fast and effective way to clean decks, siding, driveways, and other exterior areas of your property. To have it done right, without the hassle and expense of renting a power washer, give us a call for professional power washing services and get the clean deck, siding and driveway you want, fast. We will arrive with all of our power washing equipment; pressure washer, ladders, the right-sized hoses and any desired detergents or degreasers, and expertly power wash the areas you need cleaned, using the appropriate nozzle and pressure settings for each specific job. When we are done, your deck, siding, driveway or garage floor will look like new. Whether you are a large corporation or small business office when it comes to your interior and exterior commercial painting projects, you want to ensure that you have trusted only the very best painting contractor to handle your project. Harvey's House Painting will complete your painting project on time and within budget. Our commercial painting experience includes apartment complexes, office buildings, retail stores, shopping malls and much more. At Harvey's House Painting, we offer our commercial clients the same services we provide to our residential customers. Our high level of professionalism and attention to detail has earned us a variety of clients. At Harvey's House Painting, we specialize in repairing drywall and texturing to blend with your existing wall or ceiling texture. We can patch and match any drywall plumbing holes, water damage drywall repair, drywall electrical holes, drywall dents and ceiling hole drywall repair. Our texture matching application can match any and all of your existing textures. We specialize in orange peel, knockdown, smooth and acoustic textures. Unfortunately, water damage is caused by roof leaks, water heaters, toilets, showers, sinks, washer and broken pipes. One of the most common signs of water damage in your drywall is sagging, discoloration or cracks on your wall or ceiling. When you choose Harvey's House Painting you can count on us to make these repairs look as if the problems never existed. What is dry rot and how does it affect your home? Dry rot is the leading cause of damage in wood structures. Dry rot will also bring mold and mildew and continue to grow simply from moisture in the air. As it grows, the fungi literally eats away at the wood leaving the wood dark and crumbly. It can even be crushed into small chips or powder with your bare hand. Once dry rot starts to spread within a structure, it does not stop. Our experts at Harvey's House Painting will find and repair any dry rot inside or outside your home. We replace and repair siding and paint any affected areas after the repairs are made. With any painting project, inside or out, there is always a possibility of wood repairs. We have fixed many wood repairs on homes. Whether it is a few boards, new siding, rotting behind boards or even structure rotting we are up to the task. When you hire Harvey's House Painting for wood repairs we come to your home ready to make repairs. Including our fully stocked trucks and outstanding craftsmanship, we will do the project promptly and right the first time. 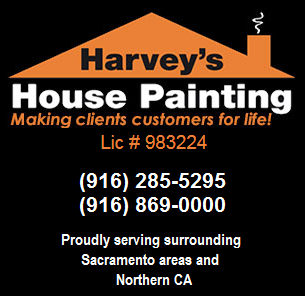 If you have any questions or we can assist you in any way, please do not hesitate to contact Harvey's House Painting at 916-285-5295.
painting service by contacting Harvey's House Painting in surrounding Sacramento areas and Northern CA. Quality Service at an Affordable Price! 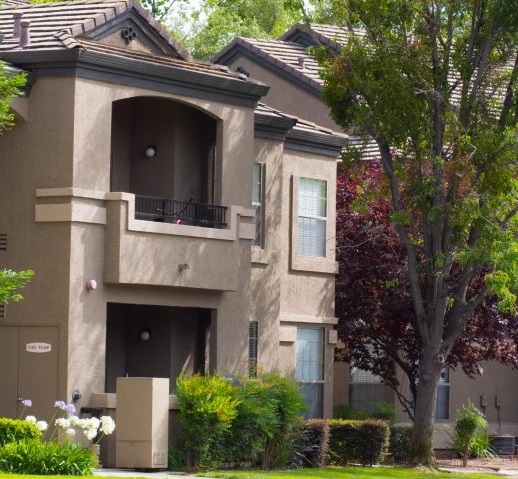 Providing residential and commercial painting services in the surrounding Sacramento areas and Northern CA, including the cities of Auburn, Cameron Park, Citrus Heights, Colfax, Davis, Dixon, El Dorado Hills, Elk Grove, Esparta, Fairfield, Folsom, Galt, Isleton, Knights Landing, Lincoln, Loomis, Placerville, Pollock Pines, Rancho Cordova, Rescue, Rocklin, Roseville, Sacramento, Shingle Springs, Vacaville, Vallejo, West Sacramento, Winters, Woodland and Yolo.